This year the summer heat has been incredible in many parts of India. According to the meteorological department the temperature in Odisha is about 4-5 degrees centigrade above normal. There are similar reports from other states as well. The heat wave is making life difficult for citizens in many parts of the country. With climate change, we are bound to face such extreme weather conditions. This summer, by 23rd of May, 26 deaths have been reported from 10 districts of Odisha alone and the figure is bound to increase with each passing day. 73 people have died in Telengana and another 80 are dead in Andhra. It is not just that old and weak persons die during heat waves. During my recent visit to Odisha, I came across a keen sports enthusiast dying due to heat stroke. It is clear that we human beings don’t have physiological adaptations for heat that are as good as creatures adapted for living in hot deserts like the Camel. The thick fur on top of the body of the camel provides shade and insulation. So it takes time for the external heat to enter into the camel’s body through convection and radiation. The camel can tolerate the heat better than us as it can increase its body temperature to as high as around 42 degrees centigrade. That temperature would be lethal for human beings. And more interestingly the camel can sustain such temperatures without sweating and losing water from its body. It is estimated that the camel thus saves about 4 litres of water by postponing the onset of sweating. As opposed to camels, we sweat much sooner and lose water from the body pretty fast. Unless the body is rehydrated, it would prove fatal for people. We humans can’t tolerate heat for a long time. The moment our body temperature goes up, our blood starts losing water and become thick. The blood vessels contract. The heart has to work much harder to pump blood to different parts of body. The blood vessels carry the heat to the surface of the body and through the skin the heat is lost. However, with increasing body temperatures and increasing viscosity of the blood, less heat is lost and there is more heat buildup in the body. So the body temperature builds up very fast. I found that the Maldharis in the Rann of Kutch bring their camels near a water body and rest in shade. The moment a Camel finds shade to rest during the day, it sheds some of the body heat as the shaded area in a desert is cooler than direct sunshine. Also, the camels drink water to replenish the water lost due to heat. 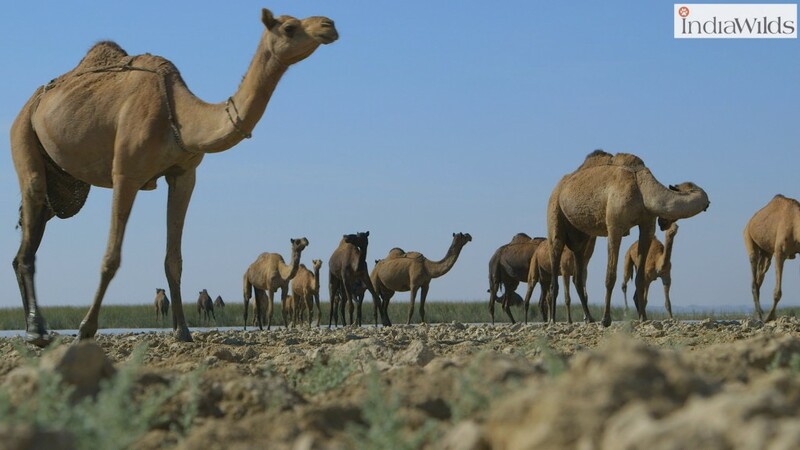 The camels can drink an estimated 70 to100 litres of water at one go. These kinds of physiological adaptations to heat is not so well developed in human beings. Any evolutionary adaptation takes a long time to develop. Unfortunately, the rate at which the overall summer temperatures are increasing due to climate change, we simply can’t adapt to survive such extreme weather conditions. Apart from providing relief to the kith and kin of the people dying due to summer heat, the Government should be concerned that these extreme weather conditions has its impact on other people as well as our economy. With the increase in temperatures, the day to day activity both in offices as well as trade and commerce is lowering. Even in rural India, higher heat levels impact work productivity in rice harvesters. According to a study “Heat exposure, cardiovascular stress and work productivity in rice harvesters in India: Implications for a climate change future” (Sahu et al. 2013), the hourly rice bundles collected by workers was significantly reduced when the WBGT (Wet Bulb Globe Temperature) is more than 26 degree centigrade with approximately 5% reduction in productivity per degree centigrade of increase in temperature (WBGT). This reduction in productivity will be further exacerbated by climate change in future and is likely to hit the economy hard. Unfortunately, apart from the customary sound bites about climate change, neither the Government is bothered to take up the challenge and create adequate measures, nor does the common man want to take any step at the individual and local level to help alleviate the problem. According to a study titled “The Direct Impact of Climate Change on Regional Labor Productivity” (Kjellstorm et al. 2010), climate change will reduce the labour productivity in most regions. By 2080s, the greatest absolute losses of population-based labour work capacity (in the range of 11% to 27%) can be seen in Southeast Asia, Andean and Central America, and the Caribbean. Due to the increased heat, either workers may need to work longer hours, or more workers will be needed to achieve the same output. There will be economic costs due to loss in production and/or due to the employee health being impacted due to heat exposures. So clearly we have to take precautions. Unfortunately, individuals can’t think of doing much except avoiding movement out of the house during the day. Individuals along with city planners and Government has a major role to play in reducing this impact of climate change. The temperatures of our cities are becoming higher than the rural areas due to urban heat island effect. There is an urban heat island effect in place and the temperatures of our cities are about 7-9 degree centigrade more than rural areas as per a NASA study in USA. A study (Ohashi et al. 2007) in Tokyo showed that there is a 1-2 deg centigrade increase in air temperature due to AC usage during weekdays. France is expecting a 180% increase in energy consumption due to AC by 2020. The magnitude of heat island varies according to cities and this impact is less in cities that are sprawling and more in cities that are compact. Asphalt absorbs heat and becomes hot. The buildings and other concrete surfaces too become hot. With increasing price of real estate, the cities are becoming more and more compact. Tree cover can cool the temperature by providing shade as well as transpiration. Unfortunately, in most of the places the trees are being cutoff to widen the roads. There are not many trees in the various apartments as hardly there are green areas. In cities where regulations mandate green areas, one finds lawns rather than trees. Independent houses in urban areas tend to concretise every inch of their land to create additional floor space. On asking why they haven’t left space for a garden, I was told that they don’t need to leave space for a garden as they have money to buy flowers for their daily worship. Such is the level of ignorance of people that they think that the only reason to have a garden is to have flowering plants for their daily puja. The importance of trees for shade and carbon sequestration is forgotten. Other people told me that if there are trees then the leaves will fall down on the ground and one needs to clean it. Infact, I was told that was one of the reasons for planting artificial plastic trees in the Bangalore airport, just for show. Researchers at Manchester University have modeled the effect of urban green space on surface temperatures in Greater Manchester, and have found that by adding 10% of green cover, maximum surface temperatures in high-density residential areas could be kept at or below the 1961-1990 baseline up to the 2080s. Presence of waterbodies too help in reducing the urban heat island effect. Given that our cities are now mostly concrete with hardly any permeable surface for water to percolate in the ground, it is important that our urban planners make it mandatory to construct water bodies. This would also help in recharging of the ground water and would be a boon for a lot of our cities where the water table is decreasing. Unfortunately, water bodies like lakes and ponds are seen as unproductive areas and the builder lobby is surreptitiously encroaching on water bodies by filling them with construction debris. The message is clear. If the Government is ok with our cities turning into urban ghettos by gobbling up each square inch of area for residential and commercial buildings, then productivity and economy will suffer severely. It is time our Government takes planning seriously and starts decongesting our already congested cities and creating new cities where human habitations are more in balance with nature. Else the writing on the wall is clear. There is no escape from the clutches of climate change. Ignore these warnings and all of us will be punished severely. India is blessed with hundreds of perennial rivers that run throughout the year and give us plenty of water. Prior to British rule we had excellent water harvesting systems. Our ponds, lakes and other waterbodies were enough for our needs. A wandering traveller used to wash himself in these waterbodies and drink its water. In the 1970s and early 1980s, travellers used to drink water from the road side municipal water supplies and from water pipes in railway stations. 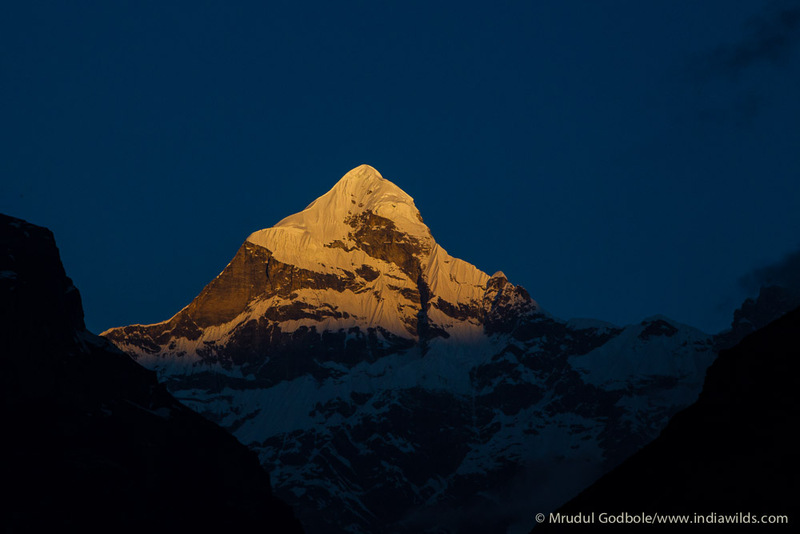 Trekkers used to drink directly from the streams after filtering the floating leavings. Unfortunately, today our ground water has been polluted either by pesticides or by E. coli due to open defecation, so one can no longer drink fresh water from streams or from municipal supplies. Treating the municipal water supply by UV and/or RO filtration methods before consumption is the norm. An exploding human population and unplanned growth of our cities makes the need for water more acute and most of the places are not covered by the Municipal water supply. To reach out to people and satiate their water needs, the Governments of many States have started launching Water ATMs. These water ATMs dispense water after a card holder swipes his/her card and get the entitled per day allowance of water. On one hand the Water ATMs can be seen as a safe way to alleviate the drinking water supply of our cities, however, are we solving the traditional water management challenges? These solutions are created for specific needs and shouldn’t be seen as a solution for all our problems. Creating a central authority and investing the responsibility for the entire city results in creation of big behemoths with their own inefficiencies. It is time we look at other local solutions and Water ATMs can be an added solution for specific needs. 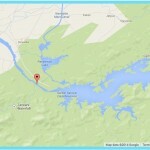 If we study history, we realise that human habitations had always come up close to water near big rivers and lakes. However, today, we have forgotten that water is an important need of human beings and have allowed human habitations far away from water sources. This is resulting in perennial water shortage. Realising this, the Government should mandate that any new expansion of cities should mandatorily have large water bodies. These ponds and lakes will help in catching and collecting the rainwater. Local water purification stations can then pump and purify that water for supply to that locality. These water bodies will also improve the ground water level and will reduce the ambient temperature of the locality. The way India’s population is growing, we need to create many more cities and decongest the existing ones. These days it has become fashionable to call these cities smart and talk about energy conservation. However, designing the topography of the new towns and cities to help feed the rainwater to the ponds and lakes and designing human habitations around these water bodies will help us not only with our immediate water needs but also will help us face the extreme heat waves due to climate change. 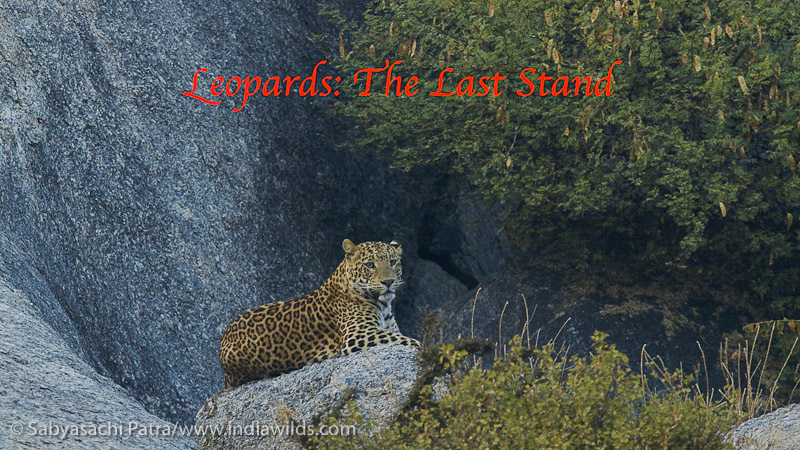 Since time immemorial, man has been in fear and awe of man-eating tigers and leopards as people used to live cheek-by-jowl with wild animals. 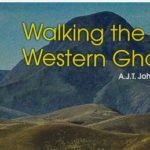 During the past century, there were many popular literatures from hunters, some authentic and many more concocted to stir the imagination of people. Today we have virtually decimated all our forests. The few forests left are designated as National Parks or Sanctuaries and are virtually cordoned off by human habitations. Everyday, people enter these forests either to collect NTFP (Non Timber Forest Produce), get firewood, poach animals by placing snare etc, graze their cattle and some others enter legally for tourism, patrolling etc. With reduced size of forests the number of people entering into the forests have gone manifold in the past few decades. Smaller herbivores generally try to flee from man. Even larger ones like gaurs and elephants generally avoid man. However, at times there is conflict. In case of carnivores, everyone fears man and tries to avoid. However, at times there are sudden encounters and conflict is unavoidable. In such situations, man with its inferior size and lack of natural weapons of defense like sharp claws, large canines etc comes out worse in those situations. Wild animals, often eat a portion of their victims, even at times when the victims are of the same species, to assert their dominance over the vanquished. If a man, whether on official duties or illegal, enters into the forest and squats to answer the call of nature, is simply inviting trouble because the predator often mistakes the person for its prey. In some other cases, a man or woman may accidentally step upon a sleeping predator or come very close to a tiger guarding its kill and in such situations the tiger is bound to attack. Once the tiger or any carnivore has unleased its attack, it is very difficult to stop it even by lot of other people shouting. It is easy to stop an attack before it is unleashed. Dog trainers and people who understand the psychology of dogs will vouch that it is always important to restrain the dog before it starts barking and chasing someone. The moment a dog starts its chase, it becomes difficult to stop it even if the dog trainer runs after the dog and shouts instructions. So if in such accidental confrontation between a tiger and a man, the man is mauled or is killed, the tiger cannot be branded as a man-eater. 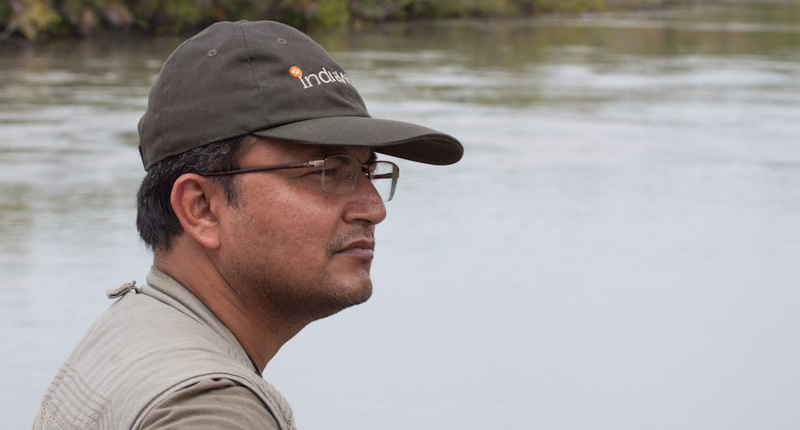 In a case in Ranthambhore, the tiger didn’t actively hunt people for prey. Though it has been described as killing 4 people, not everything is authentic. In most of the cases, people ascribe a particular tiger to be a man-eater based on heresy rather than authentic personal knowledge. Capturing a tiger based on such ambiguity shows how terrible our system is. A tiger is not a benevolent bovine. If a tiger is indeed “ill tempered” and doesn’t like intrusion of people into its territory, is there anything wrong with it? The tiger has not entered into any human habitation. Rather it is people who are entering into its domain due to some reason. The forest department could have used this pretext to curb the huge number of people going to the temple or illegally entering for collecting fire wood etc. 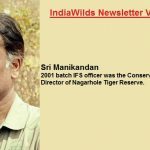 Once again the tourism lobby in India by pressurising the forest department to remove the tiger to a zoo has proved that there is nothing “eco” about this so called “eco-tourism” practice in India. 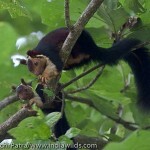 They have proved that they are far removed from conservation. 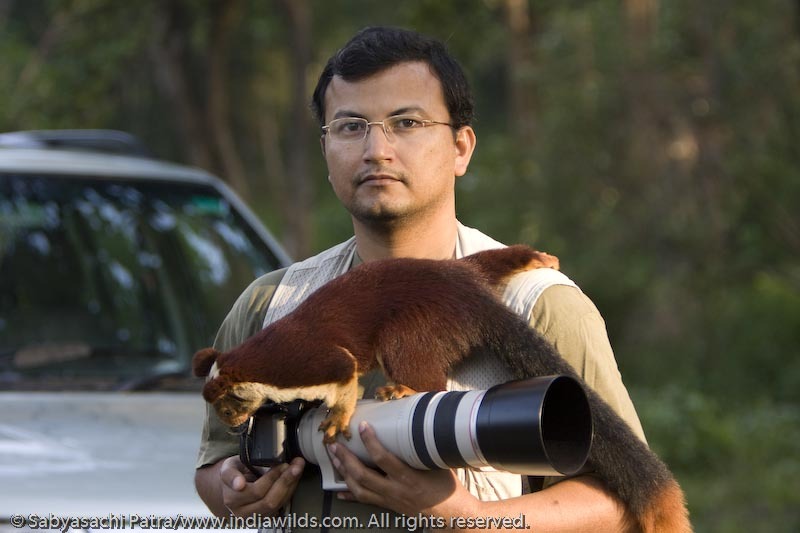 Unfortunately, since conservation like politics is mostly a “side-business” in India, people because of their other interests will force are often known to ask for “elimination” of wildlife. Various groups fearing the wrath of the local people often call for eliminating a wild animal that has been accused of causing man-animal conflict. A tiger or an elephant is easy to sacrifice to further their own interests by buying peace with locals. This is really a sad state of affairs. The Hon’ble Supreme Court has noted that this case is going to be heard by the High Court. Too often when the Government officials and ministers have failed, the courts have stood strong. Hope this time too, the accused tiger T24, is quickly returned back to its original home. 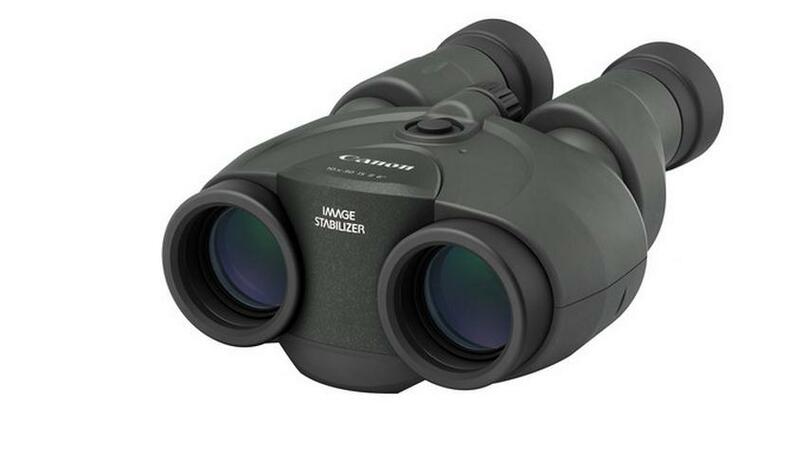 Canon has launched the 10×30 IS II and 12×36 IS III binoculars with10x and 12x magnifications respectively. 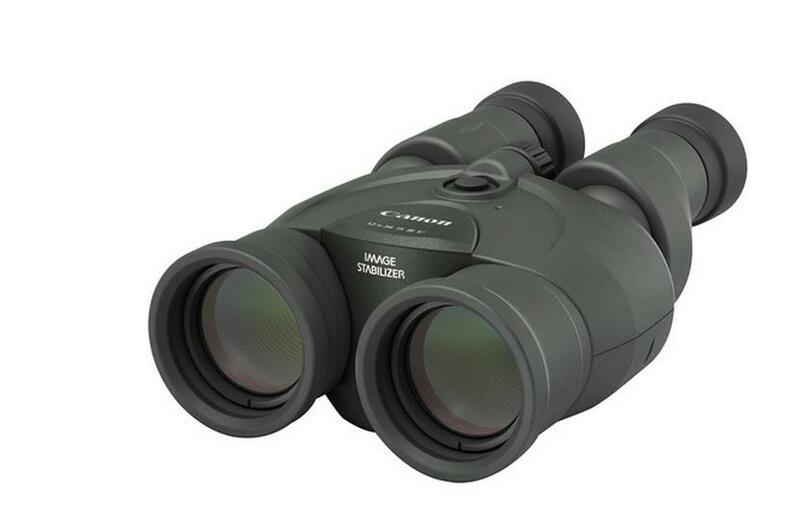 These binoculars have the latest optical Image Stabilizer technology. These two new models have caught our eye as they will appeal particularly to users who are interested in wildlife or travel. Too often after using a long lens, when we look through the binocular, the experience appears to be awful. These new binoculars from Canon will help us view the subjects with similar levels of clarity and stability associated with our Canon lenses. The new binoculars boast the latest improvements to its Image Stabilizer technology – improving stability in a wider range of conditions whilst also improving power efficiency and battery life. As a handy and portable companion for wildlife and nature photographers, both models can be used to quickly spot a subject far in the distance and isolate it from the rest of a scene, making appraisal easy for a potential composition. Using a high-grade optical formula and similar optical materials as found in Canon’s EF lenses, the transition from spotting to image capture is made more pleasurable with technologies to reduce eye strain while viewing subjects over long periods of time. Both new binoculars offer comfortable ergonomics, and ruggedness in a compact size that easily fits in a bag. Easy to hold, weighing just 660g and 600g, the 12×36 IS III and 10×30 IS II are ideal to take anywhere. A soft-touch anti-reflective coating and rubber eyecups ensures comfort and can be easily adjusted to match an individual’s eyesight, and can be used whilst wearing glasses without the field or view distorting or visible vignetting. Optical IS technology: Since the higher is the magnification, the higher is the effect of image shake, Canon has included a Vari-Angle Prism (VAP) Image Stabilizer system that uses two sensors and a microprocessor to analyse the smallest tremble and shift the prisms, instantly adjusting the angle of incoming light to keep the view clear and steady. Super Spectra Coating: With uncoated lenses, about eight percent of incident light is reflected, lowering the image brightness. In order to prevent incident light from being reflected, these binoculars have a Super Spectra coating – the same coating as in EF lenses – which has been highly praised for its light transmission efficiency and resistance to ghosting and flare. The prisms are also coated to ensure a bright and clear view. Doublet Field Flattener Lens: Field Flattener lenses offer edge-to-edge sharpness, free of any discernible astigmatism or distortion. This will help in good image quality around the frame edges because if a binocular with inferior image quality is used for an extended period of time, the user will get tired. Canon offers a doublet field-flattener lens for both new models. Improved battery life: Battery power consumption has been significantly reduced when using the Image Stabilizer. For example, when using AA alkaline batteries, approximately nine hours of operation are possible. 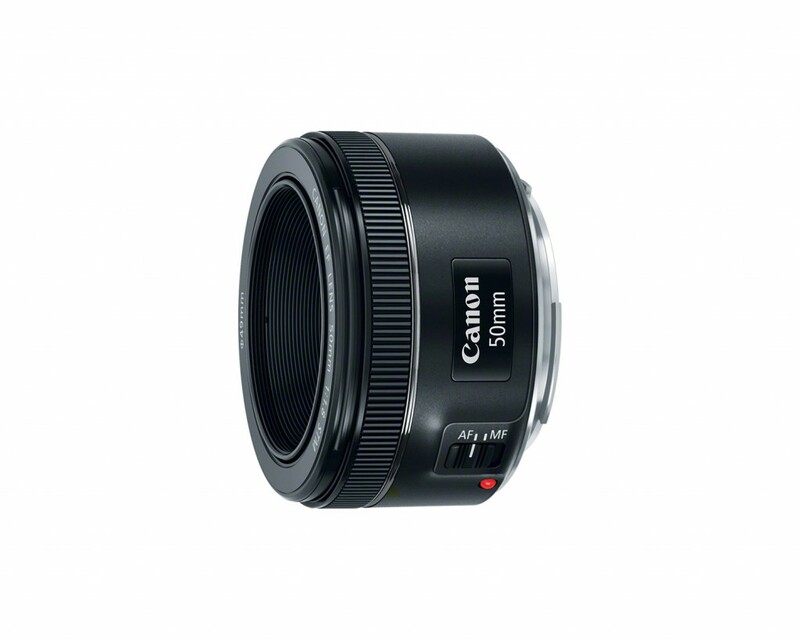 Canon has launched a new 50mm lens with Silent stepper motor technology. This lens is a f1.8 lens and at only 125 USD, there is no reason for not to buy this lens. A good news is that this lens is a EF lens indicating compatibility with full frame cameras as well as the smaller sensor cameras like APS-H and APS-C sensors as well as s-35 sized video cameras. The STM lens supports AF in the movie servo AF mode on select DSLRs for precise and near silent autofocus. There are seven rounded diaphragm blades to contribute to a pleasing out of focus quality with shallow depth of field imagery. The Canon EF f1.8 STM lens has optimized lens coatings help to suppress lens flare and ghosting for increased contrast and more color-neutral imagery. The Canon EF f1.8 STM lens has a 49mm filter thread infront of it. The minimum focus distance is 14 inches. An enhanced exterior design features a metal lens mount for durability as well as a re-located focusing ring to maintain a compact 2.7 x 1.6″ form factor. The weight is only 162 g.
Congrats on the App. I will download it. About death due to excessive heat, we see these every year in India. Currently, some states are struggling with high death count due to heat. I think it is prudent to consider doing something systematic to handle this issue. The newsletter is an amazing storehouse of information —I didn’t know the bit about camels. I couldn’t finish the whole newsletter though in one sitting. Perhaps the app will help me on that count? So we are living is veritable world of make-believe where whole damn history, culture, literature etc. etc. are being lined up for the narrow goals (shameless & criminal too). And we will be paying for it, better we get prepared for our conspiracy of silence and cowardice. Sorry for the hard words sir, persons like you are the remaining few islands of solace, may be something better may come out later.